From growing a multi-million dollar software company revolutionizing how households buy groceries to training hundreds of highly skilled IT workers, the Birmingham region is programmed for thriving technology companies. As technology companies across the nation face workforce challenges, the Birmingham region is developing talent for the technology companies of today and tomorrow. Today, Birmingham is the fastest city in the nation for hiring engineering talent according to Textio. To develop the workforce for tomorrow, this designated TechHire community is training local youth for 900-plus high-paying IT jobs while its world-class university, The University of Alabama at Birmingham (UAB), plans to ramp up its production of IT graduates. 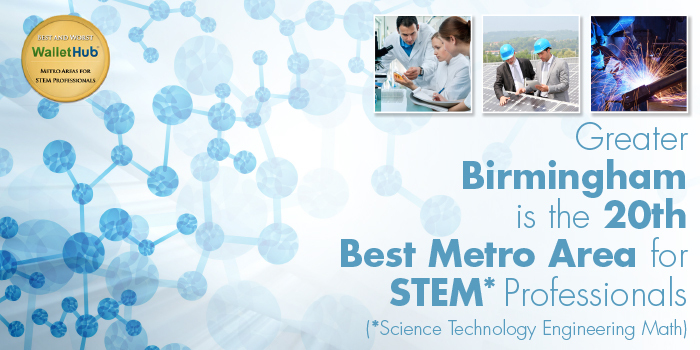 Birmingham is 2X more concentrated than the average U.S. metro, ranking No. 13 in the nation. As the city where your salary stretches the furthest, Birmingham’s IT industry jobs pay $78,800 on average – saving employers 45 percent in payroll cost when compared to the national average while simultaneously offering workers a high, cost of living adjusted income.